Raid International China 2019 Global Business School Multi-Challenge, Chishui River Valley （RIC for short）which is designed according to north American outdoor ultimate challenge RIG (Raid International Gaspesie). RIG is world-wide renowned for its rich variety of competitions，adventurous sections，exciting course design, and physical limits challenge. “Long March” RIC is built for Asia’s Business School and outdoor race elites, executed by China Huway.com together with Endurance Aventure (Canada) which is designed to be held on Chishui river valley where is celebrated for its Chinese liquor and history of Red Army of Chinese Workers and Peasants 4 Times Crossing Chishui River. After two years effort of all organizers, this race has already been made to be Asia’s first and top multi-sports endurance race facing global business elites. “Of the trying Long March the Red Army makes light; Thousands of rivers and mountains are barriers slight.” The race will last for two days with a total distance of 160km, which is consist of running, trail running, mountain biking, kayaking, rappelling and bridge down and other outdoor challenge items. Racers here will not only challenge themselves but also relive the spirit of the Long March, and experience Red Army history, Chinese wine culture, salt transport culture, and Culture of Ba State. The racers challenges in landscape of historic figures and cultural heritage, stay together with each other all the way, facing the legendary chishui river and starting their own hard-core life. Title Sponsor: Guizhou Broadcasting and TV Information network co., LTD.
Zunyi Chishui River Valley Tourism Resort Operation Management Co., Ltd.
1，Each team consists of two members, regardless of gender limit, who are in good health and have no history of hypertension, heart disease or other diseases that may interfere with strenuous sports. 2，The difficulty of the race is the initial level of outdoor sports events. All team members must be familiar with mountain bike riding, and have the experience of completing half marathon or ability of running longer than 10km. 3，If there are one or two female members in the team, they will enjoy the time reduction policy. The specific time reduction will be announced later before the race. 4，Racers must fix the partner before the race, two racers from each team should register at the same time. The registration fee for accompanying family members (personnel) is 1000 yuan/person, and they will share the accommodations with the team members. Accompanying family members have to mark the team you belong to when you register. 5， The registration fees include airport (Railway station) pickup, transportation during race, accommodation and catering during the race (April 5th, April 6th, April 7th, 3 days), race equipment, luggage transfer, etc. 6，All the hotels provided by the organizing committee are standard rooms, and racers can exchange among themselves. If you need a single room, please make up the single room difference at the hotel reception. 7，Breakfast and dinner will be provide Race day is a meal in the morning and evening. The race food supply station (SP point) provides water and food supplies during the race. 1.All racers shall be cumulative. One seen, one penalty, and the final penalty shall be the sum of all penalties. Electronic monitors on the race track shall have the same law enforcement rights as the refuges. 2，All racers must follow the designated road signs, do not cut corners, do not take any means of transport, do not get outside force, do not continue after the closing time of each check points. If found, the racers shall be immediately disqualified and the results shall be cancelled. 3，All racers must wear the bib number vests on the outside. They are not allowed to change or deface the bib number vests. If found, they will be disqualified immediately. 4，Racers who intentionally destroy or change road signs, intentionally damage other racers' equipment, maliciously obstruct other racers' progress, take stimulants, violate the spirit and morality of sports (fight, abuse the referee, disturb the order of the race, etc. ), if found, immediately cancel the qualification and result of the race. 6. It is strictly prohibited to transfer the race quota of racers and the displacement. In case of medical rescue, insurance claim and legal liability caused by the displacement of racers, the two parties transferring the race quota shall bear the responsibility. 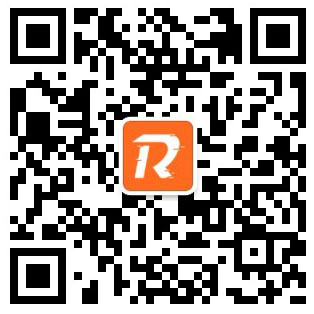 Upon verification of the transfer of quota and replacement, both parties will be disqualified from the race and will be added in the suspension list of China Huway.com. China Huway.com. has the right to report to the superior sports authority and apply for additional punishment. 7. Racers are prohibited to bring any disposable water cups, disposable tableware into the race track, including plastic bottles or cans. Racers may rest and eat at the food supply point, but they shall not take out any non-biodegradable items (food packaging, paper cups, mineral water bottles, etc.) from the SP. They shall not discard garbage on the track. It is strictly prohibited for racers to carry kindling material or smoke during the race. Those who violate the rules will be get a result of 1.1 times of the slowest score of all the finishers. In serious cases, they will be immediately disqualified and their scores will be cancelled. On the race day, the luggage transport service will be closed 20 minutes before departure, please arrange your time accordingly. The race follows strict LNT principles（Leave No Trace）: "respect for nature" and "minimal impact to the environment". The organizing committee will set up strict environmental protection inspection, racers are prohibited to bring any disposable water cups, disposable tableware into the race track, including plastic bottles or cans. Racers may rest and eat at the food supply point, but they shall not take out any non-biodegradable items (food packaging, paper cups, mineral water bottles, etc.) from the SP. They shall not discard garbage on the track. It is strictly prohibited for racers to carry kindling material or smoke during the race. Any racer who has any objection to the race result, the referee's ruling, the racers qualification and the racer’s suspected violation and appeals, shall submit a written appeal report and an appeal fee of 600 yuan to the arbitration committee of the organizing committee. If win, 600 yuan will be fully refunded. 1，The organizing committee is responsible for the final interpretation and modification of the rules and regulations. 2， If the race cannot be held as planned due to sudden inclement weather or other force majeure factors, the organizing committee is obliged to revise the race course, delay the race time, terminate the race in advance or even cancel the race due to safety concerns. Please understand. 3，The organizing committee will purchase personal accident insurance for each team, referees, volunteers and other staff members. It is also suggested that all racers should purchase accident insurance with a higher limit and a wider range of protection.